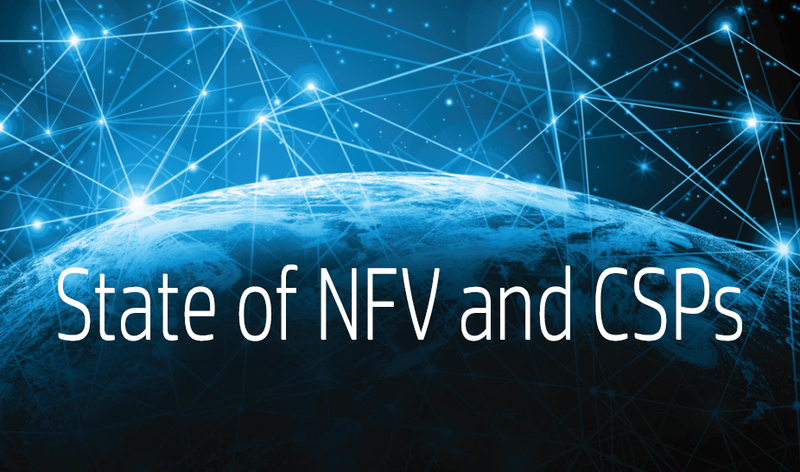 Much has been and will continue to be written about the impact of Network Function Virtualization (NFV) of Carrier Service Providers (CSP). The industry has moved through the phases of initial hype, lab demo, proof of concept, pilot, to real deployments. 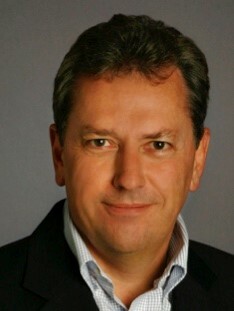 Along the way, the focus has shifted from the hope of cost saving opportunities through virtualization and use of commodity hardware to operational savings from deploying DevOps methodology to running a network; to the implications of separating software from hardware on network architectures with the opportunity for CSP’s to build a distributed cloud with compute, storage and connectivity located where needed – not just to run network functions, but also with potential to enable new business opportunities balancing between centralized and distributed functions to trade off cost, processing power and latency. Much attention has been on building NFV platforms and management capabilities. However, we can expect to see the emergence of a new set of cloud native functions providing common services that can be leveraged across applications – especially enablers like shared identity and security functions and particularly, to help in building cost effective and performant cloud based platforms across applications serving IoT. We have also seen a return of the need for some kind of standards and role of Solution Integrators with the realization that depending on open source does not guarantee interoperability. Additionally, new skill sets are required to design and operate a virtualized network. An interesting development has been the establishment of projects like OPNFV and NIA building reference architectures and setting up test beds. More recently Open-O is addressing the issues of operating end to end services across a hybrid of virtualized and physical network functions which will be a common requirement over the next few years. We can expect further cooperation between open source and standards bodies as NFV matures. SOPRIS Technologies has built its NFV Practice around helping CSPs fill some of these gaps for real world deployment of Data Center technologies into the CSP environment. 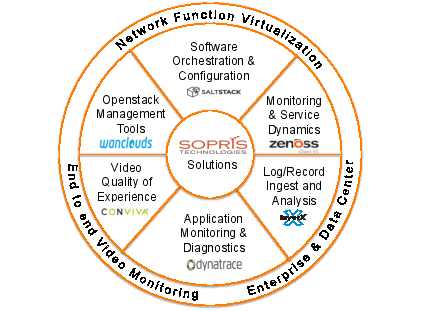 SOPRIS started with monitoring basing its solution on the open source Zenoss Enterprise edition that not only monitors applications, virtual and physical infrastructure, but also builds the dynamic association required to debug issues in an NFV world. DEPLOYMENT partnerships with CSP’s to help plan and execute NFV rollout into their network. SOPRIS has developed unique partnerships that enable it to provide a complete solution for NFV. One of SOPRIS’ partners, Wanclouds, has deep expertise in Openstack and has built tools to help manage “day 2 operations” such as analyzing Openstack logs to quickly find problems; building and executing scheduled tests; baselining, then validating configuration settings for compliance, etc. Layer X analytics tools are integrated into Zenoss to provide extended analysis capabilities including a deep understanding of Unified Communications applications, while Dynatrace provides insights into web application performance with extensive tools to aid in debugging software running in a virtualized environment. SOPRIS has recently partnered with SaltStack, an innovative company supporting open source software for orchestration and software configuration management. Salt Enterprise adds a REST API and advanced tools for operations (e.g. role based access, web UI) on top of the Salt Open framework which provides a highly scalable distributed software management system widely used in the DevOps community. SOPRIS also has established partnerships with leading equipment providers like HPE, Cisco, Dell, EMC that allow for supporting CSPs to complete fully integrated solutions. As is becoming evident to CSPs and large IT equipment vendors, achieving optimized performance out of best of breed, open source and platform based solutions, requires a great deal of specialized skills that bring together hardware, firmware, and software development centers. These are the types of services and capabilities that are core to SOPRIS’ hardware and software Development Centers.